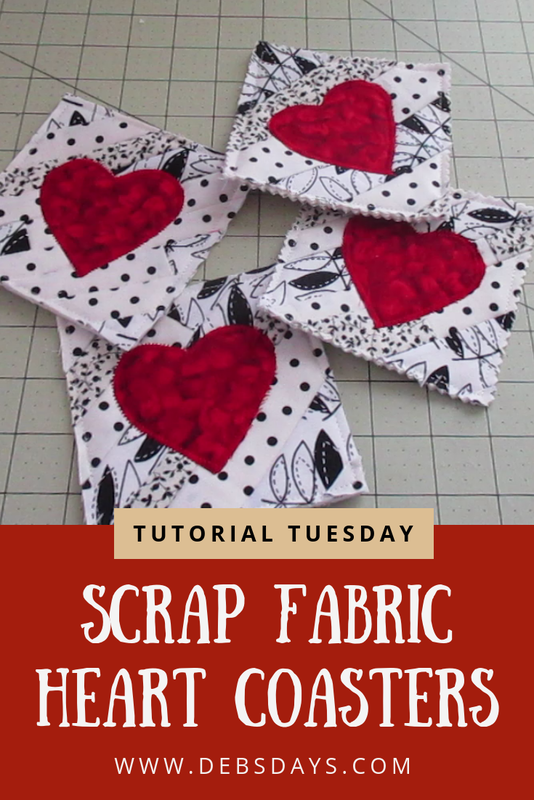 It's Tutorial Tuesday and today we are going to use up some fabric scraps and strips to make these Valentine-themed coasters. 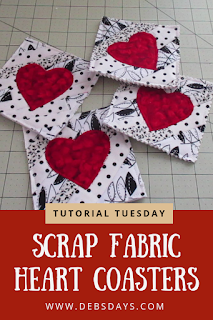 Fabric strips. Mine range from 1” to 1 ½” wide.